The YMCA Institute Of Engineering ,Faridabad was established in the year 1969,as a joint venture of the National Council Of YMCAs of India , Govt Of Haryana,and the Central Agencies for Development Aid ,Bonn, Germany .It started as an Indo-German project with an aim to impart technical education to a developing India on German pattern . Placements: Y.M.C.A.I.E has always received great response from the industry for the placements of it’s students. Despite the global slowdown during the last year , a large number of companies have visited the institute for campus recruitment .The institute is grateful to the industries for the confidence they have shown in the students of the institute. Campus: The YMCA Institute Of Engineering ,Faridabad was established in the year 1969,as a joint venture of the National Council Of YMCAs of India , Govt Of Haryana,and the Central Agencies for Development Aid ,Bonn, Germany .It started as an Indo-German project with an aim to impart technical education to a developing India on German pattern . The labs & workshops have been setup with the assistance of German expertise. In 1996,State Govt. 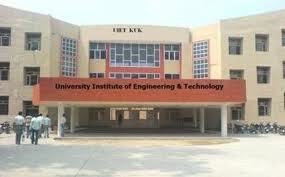 of Haryana took complete control of the Institute .The Institute offers 4-year B.Tech degree course in five disciplines. Central library: Library is a heart of the Institute. It is a modern library meant to help faculty, staff, and Students (i.e. B Tech, M Tech, MCA and Ph. D. students). Library is having good collection of books, print as well as online journals, magazines and CD ROMs. It is well equipped with modern technology like Internet. Its circulation is fully computerized through Bar Coded Library Card provided to its students, faculty and staff. The library is also member of INDEST Consortium and DELNET.